WorldMart Marketplace- Online Store is an innovative ecommerce solution that enables the business of any type and size to sell their products online effortlessly. The software is a one stop-shop for entire online sales operations starting form product listing to order status tracking and delivery. The solution provides free domain and email ids as essential online business tools. Fully equipped with SEO and blog features, the solution offers logistics support and COD options for flawless execution of the processes. WorldMart is a global e-commerce and website platform that allows anyone to create an online store in minutes an e-commerce software solution with minimum investment. Software solutions offered by WorldMart are built for ease of use but geared for advanced customization, allowing companies to grow without having to change the platforms as their business becomes more complex. Change images, change logo, and edit content right on the page. See what your customers see! Easily add new products, upload product images, set pricing. Multiple variant support and more. Pick from one of our many payment gateway partners, for fast, reliable and secure payment transactions secured via 128-bit (SSL) encryption. Use smart collections and rules to group products together dynamically. Develop categories that make sense to you and your customers. You will have your own WorldMart specialist, who is dedicated to helping you every step of the way. An eCommerce store can have a varied range of products which differ in shape, size, material, durability etc. 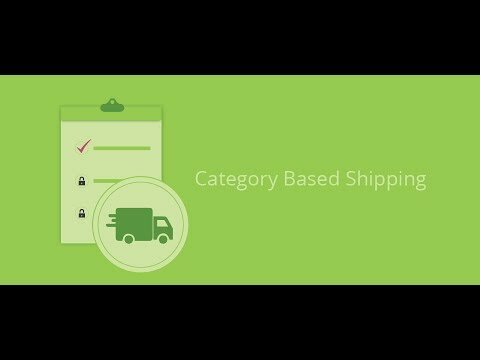 In such a scenario it becomes imperative for eCommerce store owners to specify shipping options, based on the product. For example if a company needs to deliver various chemicals from one place to another it would prefer a service like UPS that would transport the chemicals under controlled temperatures. However, if the company wants to deliver synthetic products such as cans, containers etc another shipping option could be employed. So, it can be said that the shipping option for products will be determined based on product. Q. I am a self-employee, salaried, part-timer may I start a shop with WorldMart? Of course. WorldMart is compatible for all kind of Professions. Salaried, Self-employed and Part-timers can start there own dream business with minimum Investment and be there own boss. Furthermore, if you don’t get any single sale in your first year, Be rest assured we compliment with second year absolutely free. Q. Am I the owner of my store if I develop it with WorldMart? Yes, our customers are owners of their data. Q. I have many products to sell. Does WorldMart have a storage limit? WorldMart brings you the best technology, and thus allows you to enjoy unlimited storage space in order to expand your business without any constraints. Whatever may be the number of articles or products, clients, or photos, WorldMart will manage them perfectly, without any storage limit to worry about. Q. Can I make content pages? Yes, you are allowed to add to your website information and text pages with no limit. That can be for example : pages describing your company, terms of agreement... A content management system (CMS) is included in our solution. Thanks to it, you can post and update general information. To use it, you only have to go to the Settings tab and choose CMS option.